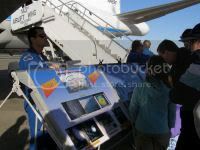 At the P3 Hurricane Hunter Aircraft Tour in Rhode Island, major PR was generated as the Director of the National Hurricane Center, Bill Proenza talked back to WX4NHC, the Amateur Radio station at the National Hurricane Center (NHC) in Miami, Florida. Director Proenza jokingly stated that he wanted to make sure the staff there was treating Julio Ripoll-WD4R, Assistant WX4NHC Coordinator and John McHugh-K4AG, WX4NHC Coordinator, well as they prepared the Amateur Radio station for the backup communications and preparation of surface reporting in the event of landfalling hurricanes for the 2007 season. Proenza gave what was at that time, a preview of the Hurricane Outlook stating that it would most likely be an above normal season and that was verified in the May 22nd, 2007 outlook. 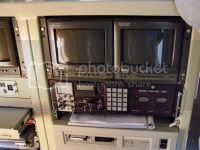 Proenza also lauded the partnership that Amateur Radio and the National Hurricane Center have had as it enters its 27th year and John-K4AG stated they were prepared to support the NHC again in 2007. One of the NHC Hurricane Specialists, Michelle Mainelli, a Rhode Island native also spoke with the Coordinators at WX4NHC. Julio and John also put on a person from the staff at the National Hurricane Center. Bob Thompson, Meteorologist-In-Charge of NWS Taunton, also spoke back to WX4NHC. In addition, he also spoke with one of the key developers of EchoLink and IRLP technology, Tony Langdon-VK3JED. Special Thanks to The NWS Forecasters, Director Proenza, and Hurricane Specialist Michelle Mainelli for their support of our special event station. Special thanks also to Julio-WD4R and John-K4AG for their support from WX4NHC and special thanks to the ARES-SKYWARN Amateurs of Massachusetts, Rhode Island, Connecticut and New Hampshire, RI ARES, RI SKYWARN, RI SATERN and the Taunton Amateur Communicationg Group for all the support in this very large event for the NWS Taunton County Warning Area. Special thanks to Ray Weber-KA1JJM and the eyewitneesses who worked with Ray on putting together the report on this rare type of occurrence of a tornado/landspout. 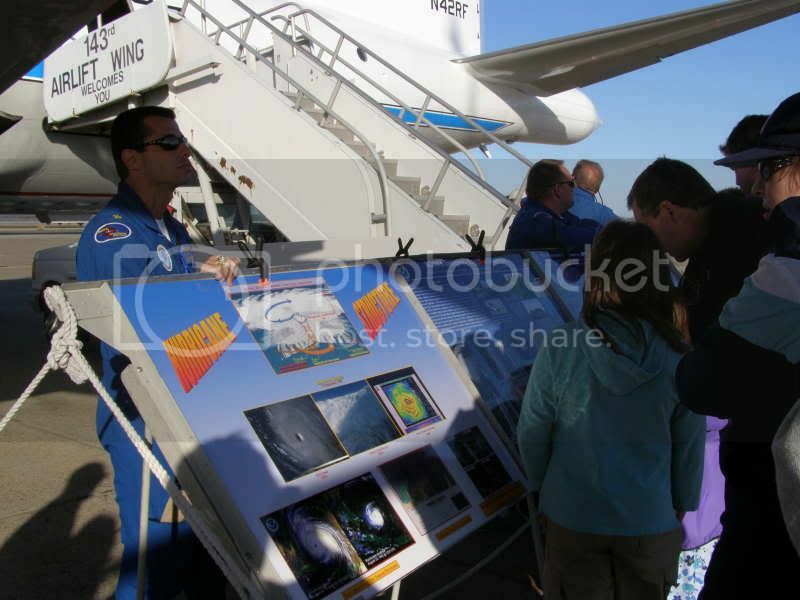 Personnel of SKYWARN, NOAA, and the public were treated to a tour of the NOAA WP-3D ORION hurricane research aircraft N42RF on Sunday, 29 April 2007 at Quonset State Airport, North Kingstown, Rhode Island. 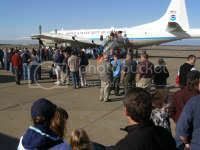 The airplane and crew flew a week-long five city ‘Hurricane Awareness Tour’, promoting hurricane awareness and preparedness. 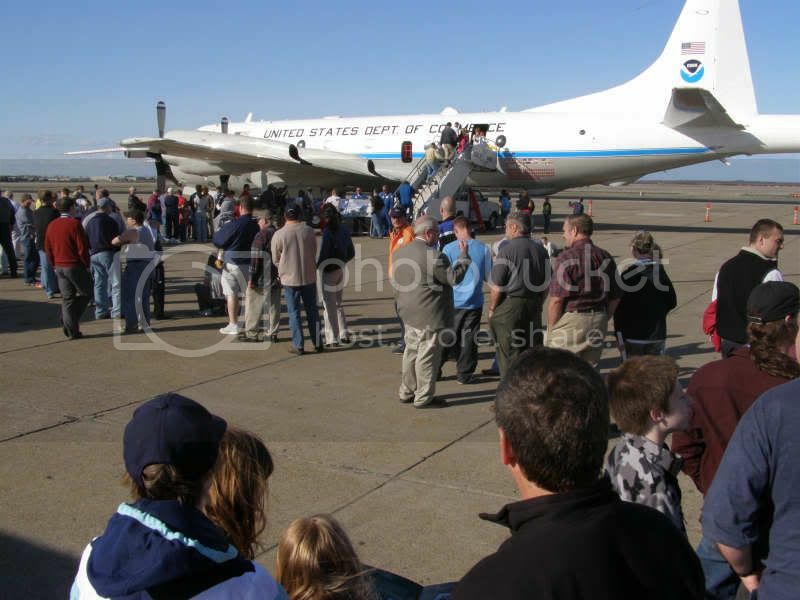 Many folks stood in line for at least an hour as NOAA personnel guided small groups of visitors through the Turboprop WP-3D ORION. The day was sunny and clear. A strong northwest wind threatened to launch the tent sheltering the participants. 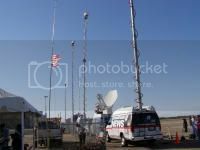 The event was well covered by local media. 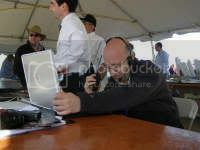 Robert Macedo, KD1CY, ARES SKYWARN Coordinator and Eastern Massachusetts ARES Section Emergency Coordinator, coordinates activity at the Quonset State Airport Hurricane Awareness Tour 2007. 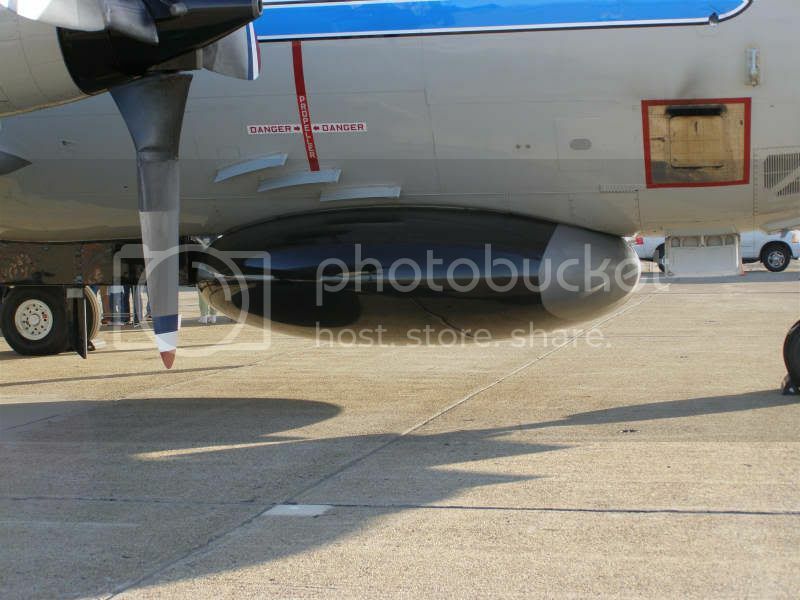 The Lockheed WP-3D is powered by 4 Allison T56-14 Turbo Prop Engines, each rated at 4,600 Shaft Horse Power. 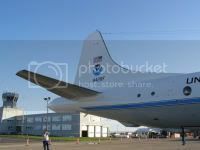 While not a giant airplane, it weighs in at 135,000 pounds at maximum takeoff weight packed with meteorlogical, navigation, and traffic avoidance equipment and a crew of 2 Pilots, Flight Engineer, Navigator, Flight Director (meteorologist), 2 or 3 Engineering/Electronic specialists, Radio/Avionics specialist, and up to 12 Scientist or Media personnel. 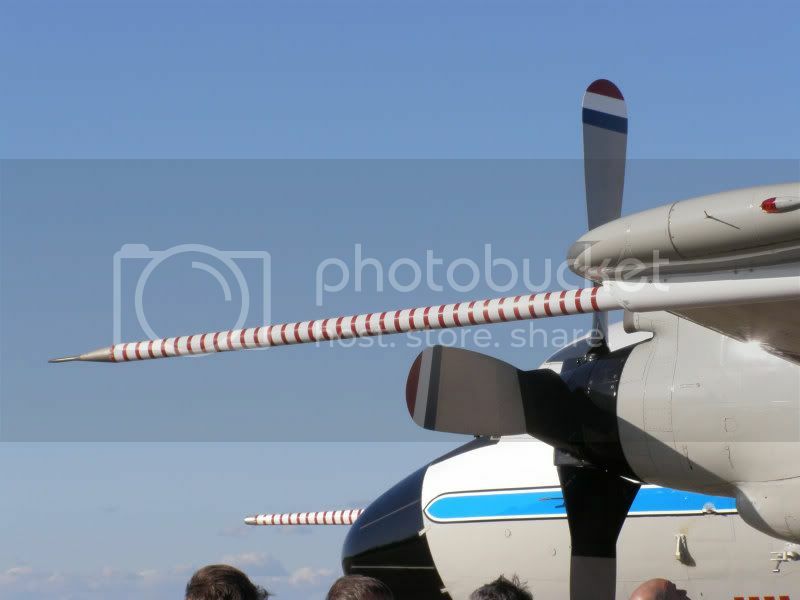 Dimensions: Wingspan = 99’8″ Length = 116’10” Height = 34’3″ Operational Airspeeds: 170 – 250 knots. 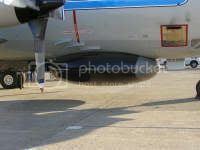 Gust probe system and air sensors of the WP-3D ORION. 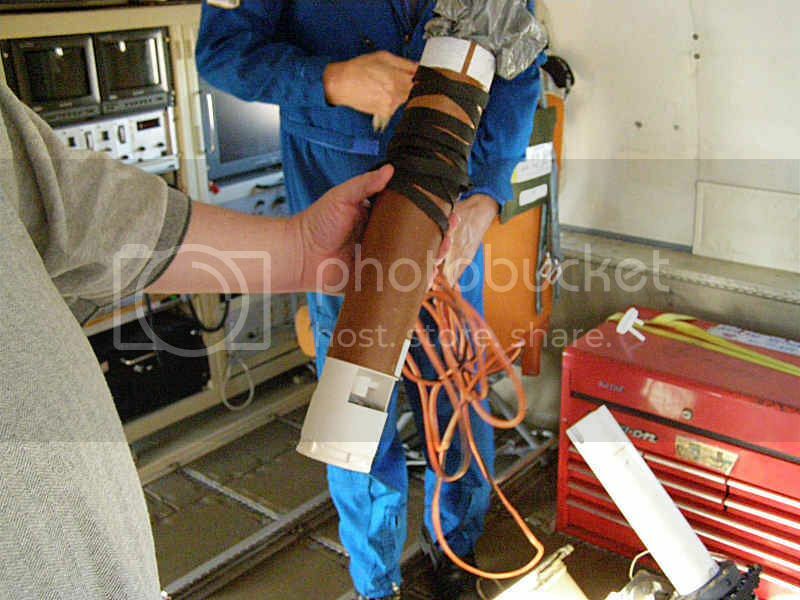 Gene Harriman, N1EH, Eastern Massachusetts SKYWARN Spotter, holds one of many GPS dropwindsonde Airborne Expendable Bathythermographs (AXBT’s). 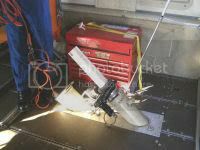 The device is deployed from the ORION during a mission and sends storm data back to the aircraft to be recorded and analyzed. Expendable Sensor Launch Tubes in the cabin of the WP-3D ORION. 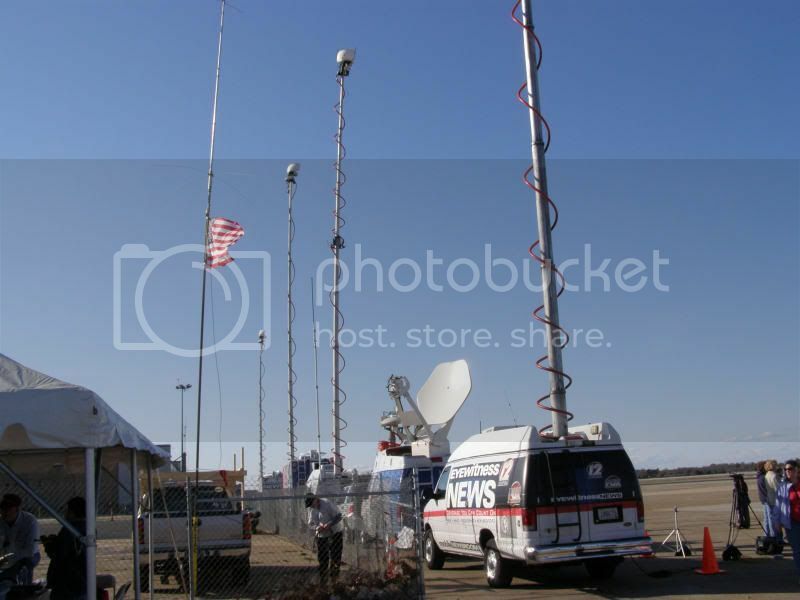 Click here for more indepth information about these important expendable devices. 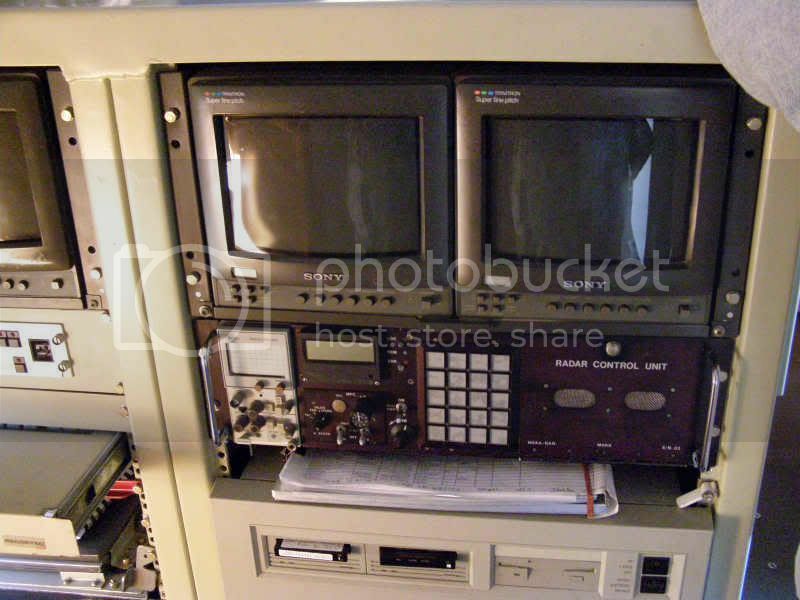 Weather Radar Control Station aboard the NOAA WP-3D ORION. 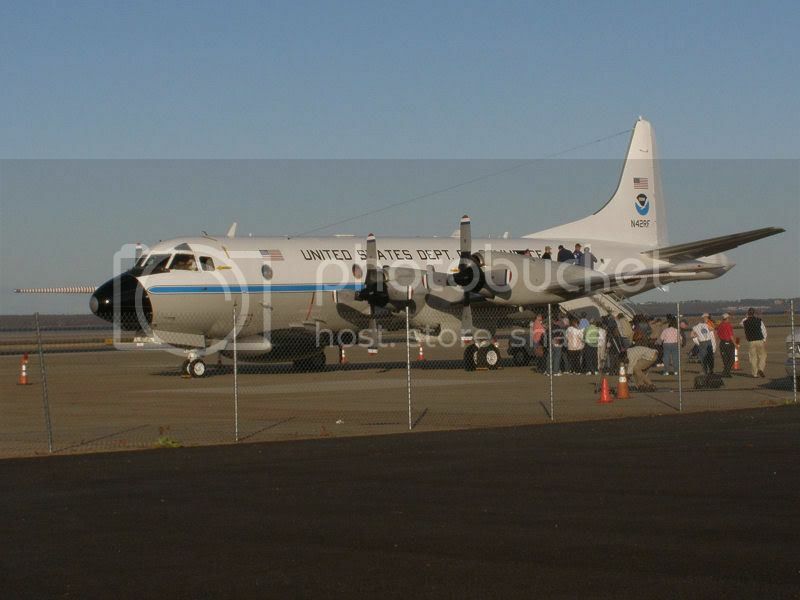 The WP-3D ORION crew and NOAA personnel were polite, knowledgable, and obliging. All questions from the public were answered. Children were especially interested and were told about hurricane preparedness and careers and work in meteorology and Earth sciences. Our WP-3D ORIONS are deployed on International missions. 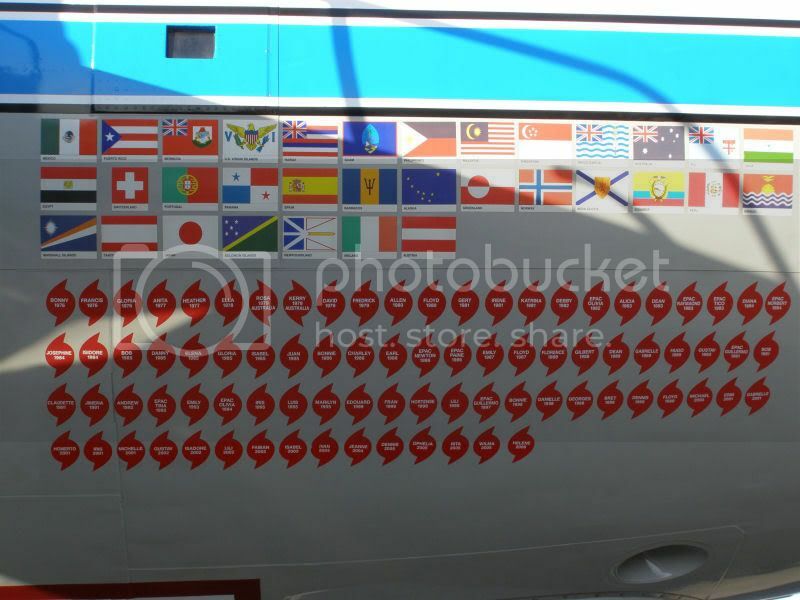 Each tag in this image of the ORION fuselage shows a country visited and storm penetrations. In spite of the easy-going attitude of the crew of the WP-3D, remember that almost all pilots are trained to fly AWAY from storms and hurricanes. The crew of the Hurricane Hunters are trained to fly INTO storms and hurricanes, risking their lives to collect data that saves lives. We are indebted to the brave men and women of the Hurricane Hunters. 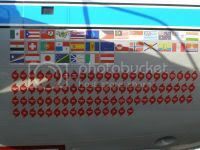 It was an honor to meet you and join you for a tour of your airplane. Thank you one and all! 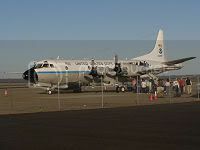 http://www.aoc.noaa.gov/ for more information on NOAA Aircraft Operations. 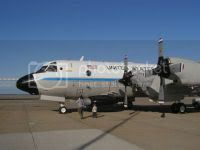 Conduct a web search for NOAA or WP-3D ORION for much more information. I hope you enjoyed this article. I enjoyed writing it. All images and copy in this article were created by Eugene M. Harriman II or Samantha J.Harriman except where noted. We are solely responsible for this content. All information is accurate to the best of our knowledge.